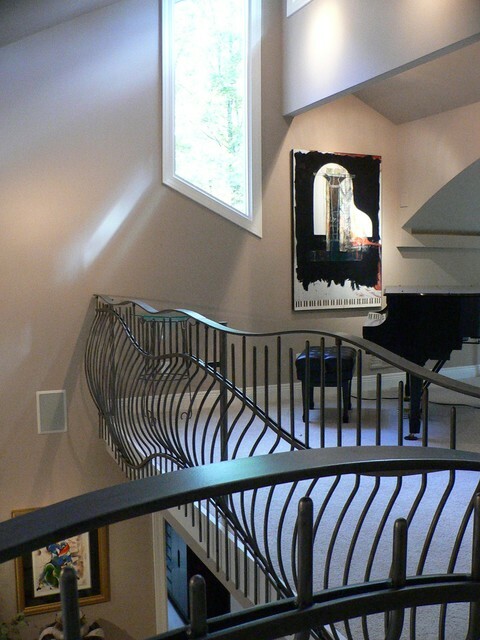 This railing in Louisville was designed for the home of two avid glass collectors. "The concept was to have a piece that was strong enough to stand on its own merits, yet not be so overpowering that it would compete with the sculptural items placed throughout the home," says Karine. It has no grace or beauty; it does nothing for me.